Intensely deep garnet red, with a tinge of violet. Clear and bright. Powerful nose with characteristic undertones of undergrowth, humus and leather on a background of ripe red and black fruit. Highly balsamic and spicy. Reminiscent of cocoa, vanilla and hard wood. Savoury on the palate, developing into a cohesive, unbroken flavour of muscular texture. Firmly tannic, amiable, balanced and elegant. 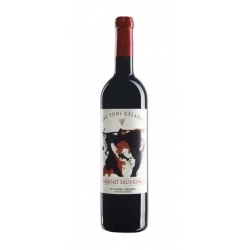 Lingering and persistent aftertaste, fresh, fruity and notably tannic, which promises a perfect ageing in the bottle.